We all knew that there were a fair number of Korean artists living in London. But forty? Where did they all come from? And, actually, there’s more than forty, because none of the artists I know personally are participating (or if they are, they’ve kept a Korean-style vow of secrecy about it). 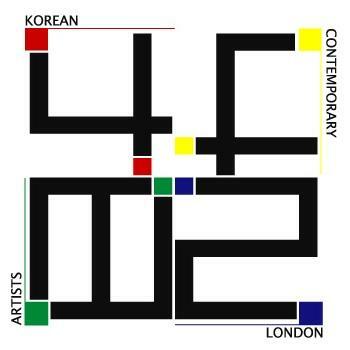 But 40 Korean artists will be participating in a group show at Bargehouse, OXO Tower Wharf, Bargehouse Street, London SE1 9PH, 16-19 October, 10am-6pm. The title of the show is 4482 – the concatenation of the UK and Korean international dialing codes – inspired by the “feelings of anxiety, strangeness or tension that the artists experienced when they had to dial a long and unfamiliar telephone number to call home when they first arrived in the UK”. Continuing with numbers, the artists are from the 2030 generation – in their late 20s or 30s, who grew up during the time of Korea’s economic prosperity, then lived through the IMF crisis and the change in attitudes that engendered. Educated in a post-democratised country, they benefited from an education where the students’ focus was no longer resistance to an oppressive dictatorship, where a greater diversity of ideologies were acceptable. But nothing prepares you for the feeling of alienation as you attempt to survive or succeed in a foreign country, and some of those feelings may be visible in the art on show. Painting, sculpture, video, installation and performance arts will be on display. The exhibition is curated by Choi Sunhee.